Luis has completed 6th grade and this year he is starting middle school. He and his older sister (who is in high school) are supported by their mother who supports her family by selling vegetables and food. Luis is a book lover, a soccer player, and his favorite subject is math. 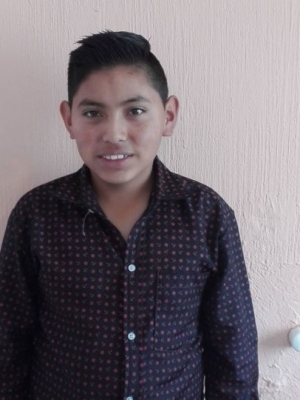 Luis wants to help sick people by becoming a doctor when he grows up.